Krems is a city in Austria that shows you a hard-working and still laid-back philosophy of the Wachau Valley part of Austria. The first human relicts date back to already 25.000 years before christ as a children’s grave has been found. The first settlements in the area date back to the time of the romans since it was in a very strategically position. The Danube gorge though the Wachau valley ends in the city of Krems and here the hilly area ends and the flat basin to Vienna and Hungary opens up and from a rough hilly area you go to smooth flat area to Vienna. Krems had therefore always a strategically position for taking taxes of traders going down the Danube and for transporters to go up to Bohemia and the norther area. 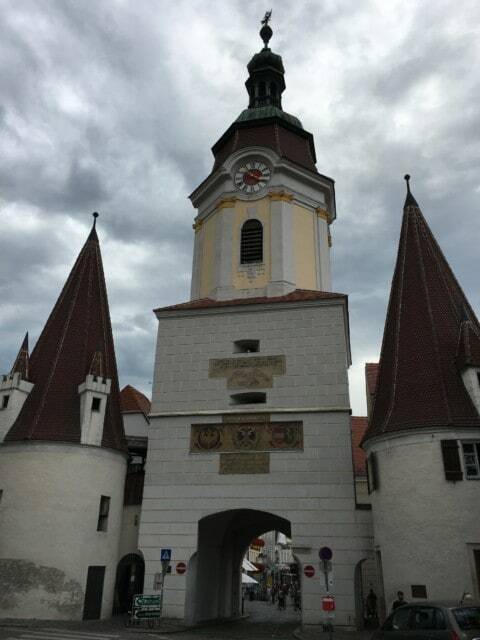 At Krems already in the 11th century a bridge has been opened. The city of Krems was also quite some times famous for fights and supports that were brought over the river of the danube to support the troops in Vienna, or to defeat the northern territories of Austria against invaders. One of the most famous event was when the turns occupied the city of Vienna and without the support over the bridge by Krems would have changed the history of Vienna. But Krems was important in the 17th century when in the area some reformation between catholics and lutherans was very much ongoing. The Swedish troops came to support the protestants and were fought back in the 30years war by the Habsburg’s amy( within these fights more than half of the houses in Krems and the neighbor village Stein were destroyed. 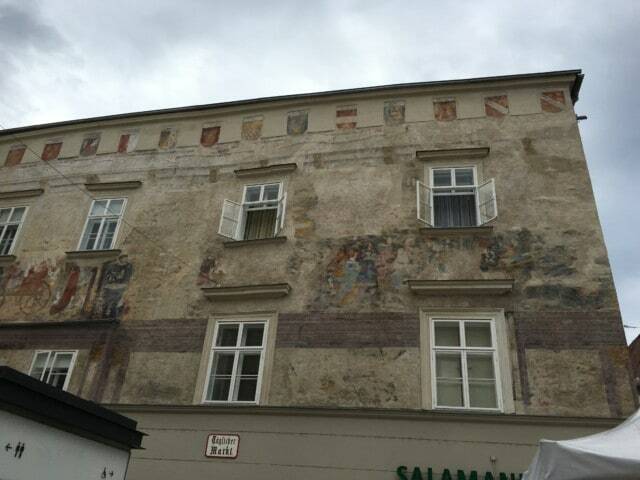 Thought history lots of things took place in the city of Krems. In the second world war the cit was the main city of the area and a new port has been constructed. Unfortunately also a prisoner’s camp had been constructed. During a bombing in the second world war with over 100 death people. After the second world war the expansion of the port and the danube helped a lot to increase the city and its importance. With the opening of the university of Krems and the opening of the Fachhochschule Krems has become an important student city in Austria, since Vienna has become a very expensive city and Krems is not far away from Vienna and surrounded by lots of vineyards. Wine has always played a very important role in the history of Krems. Also the location is a very important factor because Krems is at the end of the Danube gorge and Wachau valley. Already the romans produced wine in the Wachau valley and also the wine has been also transported down the Danube. Krems nowadays is not only important for it’s fascinating buildings and history but also for it’s important role of wine and education in Austria. With the third biggest industrial port in Austria and companies like the VOEST Alpine Krems, the Eybl International and Dynea company, also jobs are available. Due to the fact that these companies settled here in Krems they also support the universities and educational institutions to increase high quality education for everybody in the area of Krems. At the moment there are 12 public kindergarten, 7 elementary schools, 10 middle and high schools, tourism school, wine culture and wine producing education and 5 universities and colleagues, of which 2 are private universities. These are considered some of the leading universities in Austria. It is one of the biggest cities in Austria where a lot of money are spent for research & education. Besides that you can also explore outside of the city center a perfectly preserved nature and a nature that gives also some of the finest wines back to the population. Without any chemicals and pollution it is the reason why the wine in this area is considered one of the best and most important wines in the are and also quality wise one of the leadings from the area of lower Austria. People nowadays realize that the city of Krems is getting “younger” within the population as a result of possibilities to find jobs and possibilities to still find land to construct for a relative accessible price. One of the highlights will be to enjoy the wine of the area and knowing that education is not something old-fashioned but really is part of the daily life and culture in nowadays Austria. Krems is also considered nowadays the capital of white wine of Austria. In the area more than 87% of the yearly produced wine is white wine. Besides that it is one of the most sportive city in the area with over 24 different sportive clubs including also sports like rowing and water sports on the Danube. Each year the Wachau Marathon and other sportive events take place in the area of Krems. Directly by the city passes the most famous bicycle path in Austria, the Donauradweg, starting by Passau, in Germany and goes through the Wachau valley by the town of Krems directly to Vienna. Krems is nowadays not only the heritage of it’s own history but also a mirror of a whole region. 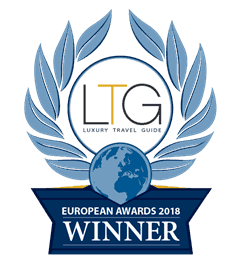 You will see this especially by doing a cruise through the Wachau valley, also by the lots of Vineyards around the city of Krems and this border town between the danube gorge and the flat area towards vienna. Do not miss out to try one of the local vines and take the time to see also the area surrounding the city, where you can explore how nice this city is settled and how nice the nature is around the town. 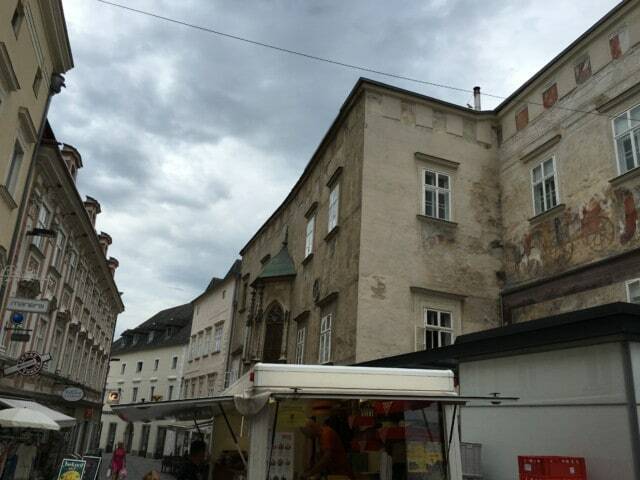 Visit Krems and learn a lot more of this city – history and vines – b(e)specialtours! If you want to enjoy some great time in Krems, book a private tour to Krems and the Wachau valley with B(e)special Tours from Salzburg, or arrive directly in Vienna, enjoy a city tour with our comfortable vans, enjoy a guided tour through the town of Krems and continue a nice drive either through the Wachau valley, or to the Göttweig abbey. So if you are planning to come to Krems, or if you want to Visit the city of Krems and the romantic Wachau valley coming from Salzburg then please do not miss a nice ride with b(e)special tours! It is fun for youngsters and the older ones and you can taste a lot of delicious typical Austrian dishes and of course a lot of good wine! Enjoy the fascinating city of Krems – Wachau valley and history – with fresh ideas, food and a lots of fun – b(e)specialtours! Thank you so very much for a warm, intimate description of Krems. We will be visiting this summer and I can’t wait to take in all the beauty, history and ah yes, the wine! Must have been someone else as this is the first time I have read your article.